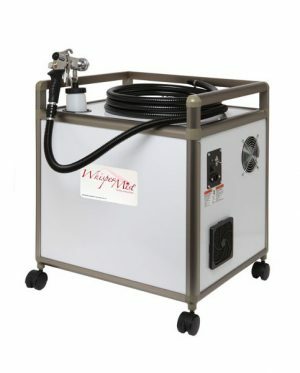 The most popular machine on the market, it is ideal for a small salon setting or mobile tanning business. The turbine is lightweight and easy to carry to various locations with its easy to grip carrying handle. 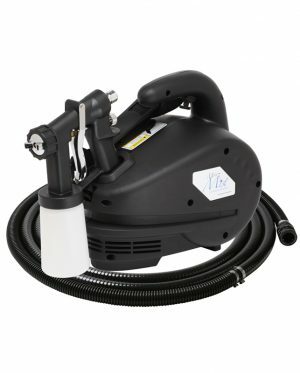 The Mini Mist turbine comes with a built-in docking station to keep your applicator safe and secure when not in use. This machine is powerful enough to perform a moderate amount of tans per day, yet quiet without producing excess noise so you can easily speak to your client without yelling. This machine operates at 79- decibels, which is quieter than a hair dryer (80 dba). 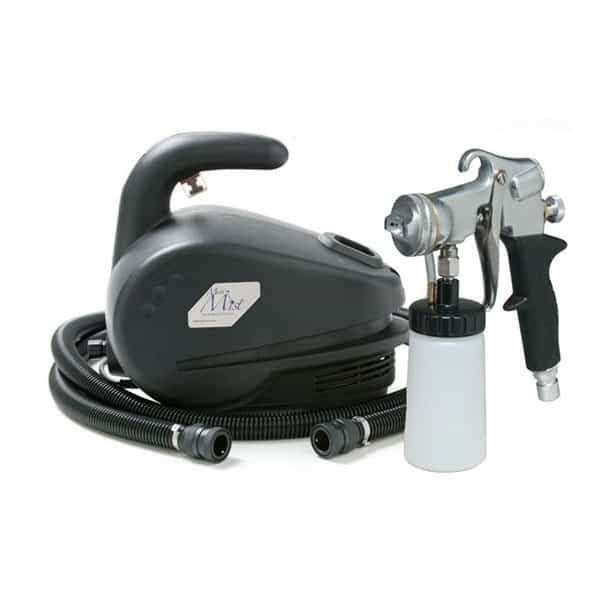 The applicator docking station, quick connect technology, and upgraded stainless-steel T5020 gun makes this machine user friendly and highly versatile for starting out in the industry. The upgraded applicator has stainless steel fluid pieces which allow for a more precise application of solution and is designed to break the solution down into tiny particles at the time of application. This atomization supports a more evenly distributed, flawless result. 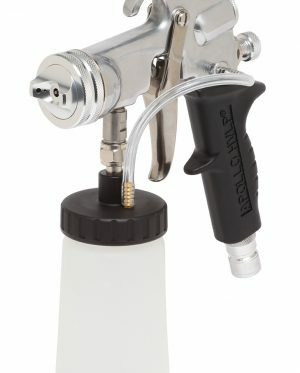 The T5020 applicator also features a protected handle grip that is always cool to the technician’s touch. 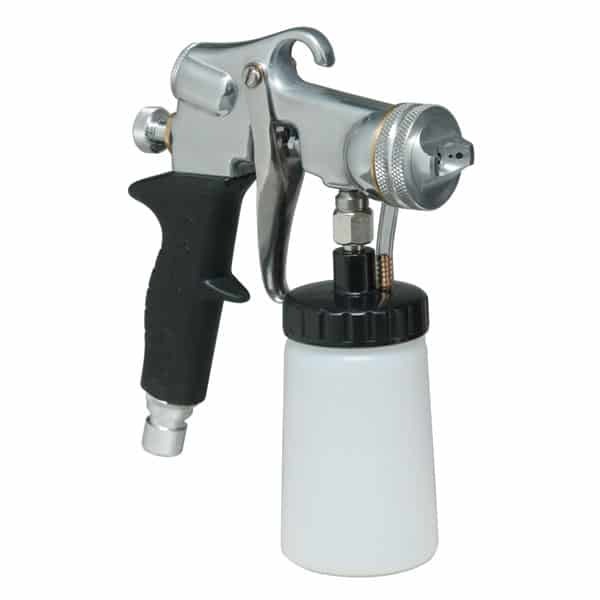 Technicians can choose to spray in three different patterns; spot contouring, vertical or horizontal with the adjustable spray pattern and fluid nozzle. I purchased this about a year ago and waited to give an honest review. I just have to say that this is the best buy ever! From the customer service to the products I have yet to be disappointed. I love this product and brand and so do my clients! 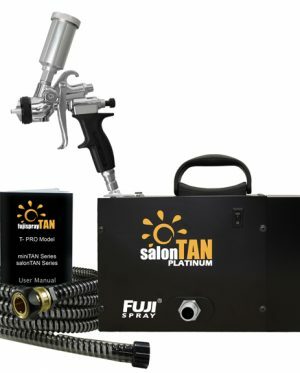 I recently purchased a tanning machine from another company and it was a huge financial mistake. Cheaper does not mean better quality, the machine stopped working after 40 days and the company refused to even respond to my request for help with their defective product…I will never use any other company for my tanning needs but Sjolie from now on. Their equipment is by far superior to others and is worth every cent. Their customer service offers great communication and they even have equipment repair resources. Thank you for being a company that offers quality and courtesy to your customers. Great little machine…it has worked for me with no issues at all. I perform about 20 tans per week and the Apollo Deluxe has been great.